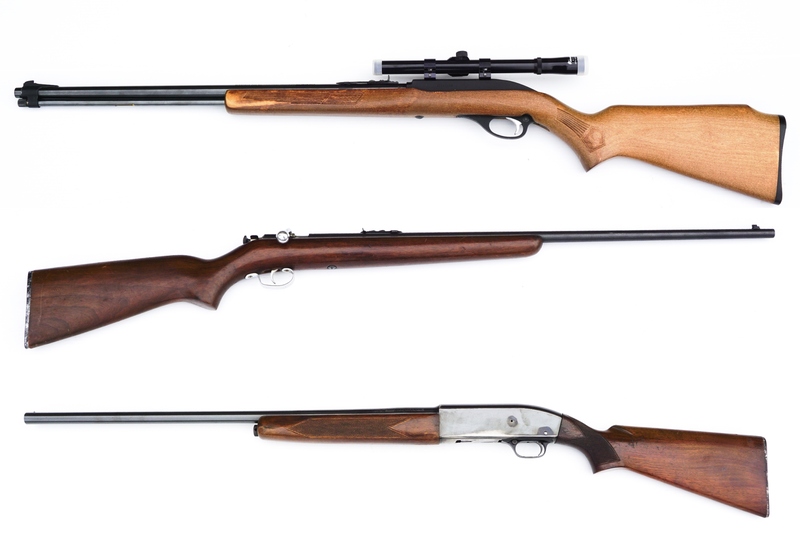 Firearm & Hunting Auction — Harritt Group, Inc. Transferred to 2 Brothers Firearms Inc. located at 421 E. Main Street, New Albany, IN. Available for Pick Up on Wednesday, March 21st. Selling live onsite the following firearms from an estate in Floyds Knobs. Also selling a large collection of antiques, collectibles, and furniture. Auction located off St. Rd. 62 just 1/2 mile West of I-64 Edwardsville Exit #118. Warren Sweat Grand Island deer stand & Timberland Stalker bow and arrow.